The second round of 2019 Africa Cup of Nations qualifiers continued on Sunday. 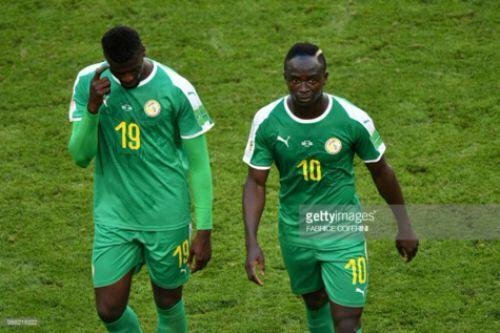 Senegal were held by resilient Madagascar while Ivory Coast, Mali and Tunisia all won away from home. Senegal maintained their unbeaten start in Group A after drawing 2-2 with Madagascar on Sunday afternoon. Moussa Konate and Balde Keita put the visitors 2-1 up after Paulin Voavy had pulled Madagascar level just before the break. The point was secured for Madagascar thanks to Andria's 68th minute strike. Ivory Coast registered their first win in Group H with a 2-1 triumph away to Rwanda. Jonathan Kodija and Max Gradel put the visitors 2-0 up before the 50-minute mark, while Meddi Kagere netted a consolation for Rwanda after the hour mark. Zimbabwe remained top of Group G despite playing to a 1-1 draw with Congo on Sunday afternoon. Khama Billiat opened the scoring for the visitors after 21 minutes, before the hosts levelled matters through Bifouma in the 50th minute. Goals from Taha Khenissi and Naim Sliti handed Tunisia a 2-0 win over Swaziland on Sunday afternoon.